Bitcoin exchange trading volumes have hit an all-time high even as the digital currency’s price closes in on a 52-week peak. According to Bitcoinity, the busiest day for exchanges to date was recorded on 26th November, when some 2.86 million worth of bitcoin was traded across all exchanges indexed by the data provider. Trading volumes have been setting records in recent weeks, with the previous peak occurring just four weeks ago, on 30th October, when 2.49 million bitcoins were traded. 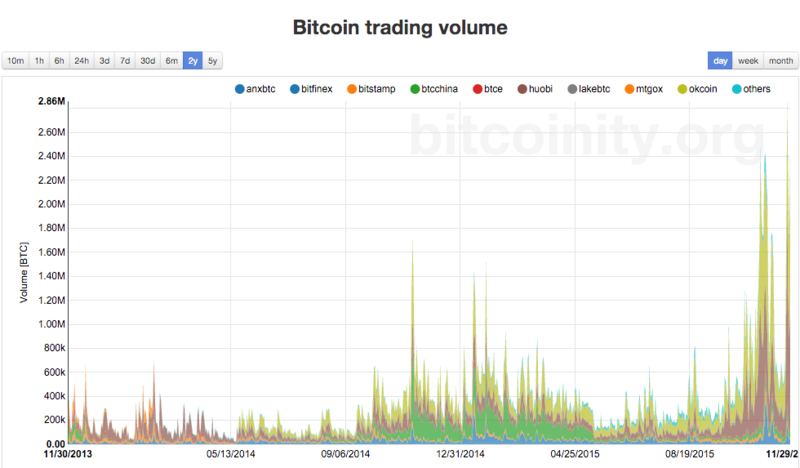 As trading volumes have risen, so has the price. The price gained $25 or 7.6% in a days’ trading, even as volume surged to its 26th November peak, according to the CoinDesk Bitcoin Price Index. Similar volume growth accompanied price rallies at the end of October and early November. 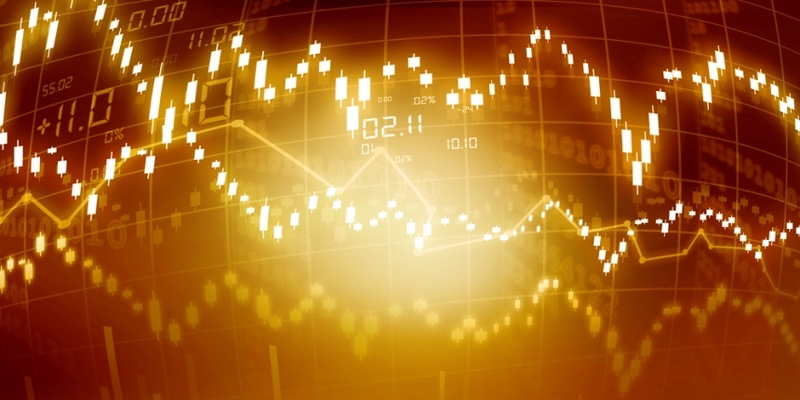 Although the surge in volume took place on the eve of the major shopping event Black Friday – holding out the possibility of a link between greater consumer adoption of bitcoin and its price and volume spike – market-watchers CoinDesk spoke to believe the run-up has been driven by traders and exchanges themselves, not commercial activity. “Only a small percentage of exchange volume will be due to genuine bitcoin use or adoption,” said Alistair Milne, who the runs Monaco-based Altana Digital Currency Fund. As more exchanges introduce leveraged trading, the possibility of outsized movements in the bitcoin price grows. As borrowed funds come due, they can cause the price to jump or plunge while the borrowed sums are settled, Milne added. “But bitcoin traders, especially those using leverage, artificially amplify short term supply or demand in both directions … when leveraged contracts come to maturity or settlement, they can cause large movements in the spot price,” he said. One exchange that recently introduced leveraged trading is BTCC. It launched its BTCC Pro Exchange last month, allowing traders to borrow up to 20 times their principal, leading to a “noticeable” uptick in trading activity, the exchange said. “We have seen a noticeable increase in users and activity since our introduction of 20x leveraged trading in mid-October,” BTCC chief executive Bobby Lee said in a statement. The disconnect between real-world bitcoin adoption and the bitcoin price is illustrated by the fact that the total number of transactions on the bitcoin blockchain has increased at a steady rate over the past year, nearly doubling from about 53 million transactions 12 months ago to some 95 million transactions today, according to Blockchain.info. 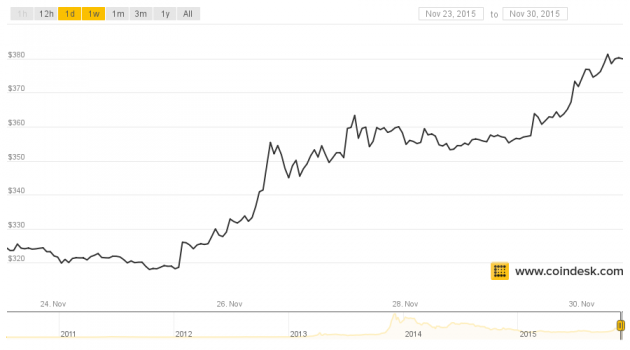 The bitcoin price, meanwhile, is trading at around $380 today – roughly the same level it was 12 months ago. 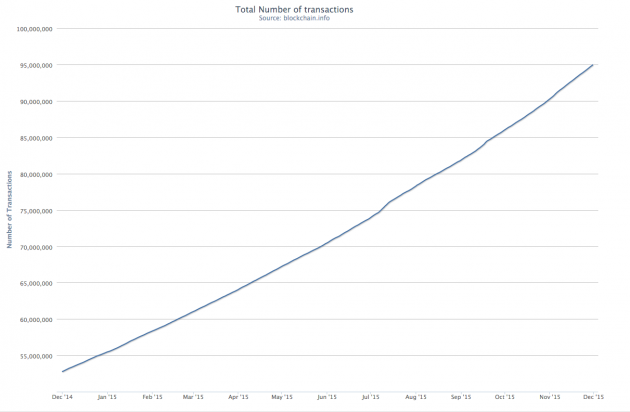 “[Bitcoin transactions] have doubled in 12 months, while price hasn’t!” Milne said. Besides leverage driving up volumes, some market observers also believe exchanges themselves have installed automated trading software to inflate the number of trades taking place on their platforms. This creates the illusion of a highly liquid marketplace, potentially attracting more customers. Participants of Whale Club, a popular trading room on TeamSpeak, point the finger at exchanges for generating “fake” trades to pump up their volumes. 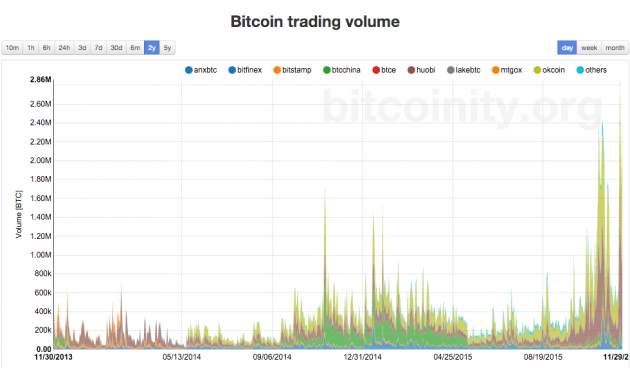 Two China-based exchanges dominate the volume charts: OKCoin and Huobi, which collectively account for 78% of volume in the last 30 days, according to Bitcoinity.